Guest rooms are important in family homes, creating extra space for guests and extra family members when they come to visit. 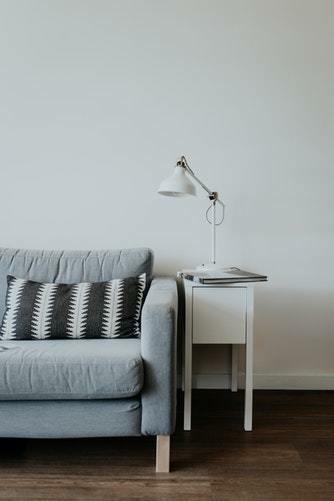 If you want your guests to walk away happy and have an enjoyable stay with you, you should ensure that your guest room is inviting, welcoming and comfortable for your guests. However, your guest room should also be convenient for you, and so you should also consider the practical aspects, such as convertibility. The first thing that you should think about when creating the perfect guest room is how convenient it is for you. Your room should be practical for when you have no guests visiting, ensuring that you do not use unnecessary resources on its creation. Then, you should aim for simplicity when creating a guest room. For instance, simply add a bed to a living room, or create a guest nook in another room for a practical and easy way to create a space for guests to stay. You should also ensure that your guest room has all the basics that your guests will need, such as a wardrobe, mirror and bed. If practicality is high on your list of must-haves, you should consider your guest room’s convertibility. Guest rooms can make great home offices or even entertainment or theater rooms when you do not have guests staying. By simply including a few different pieces of furniture, you can ensure that your room has multiple uses. For instance, you should consider investing in convertible beds such as pull-out, Murphy or sofa beds, which can then be transformed into a place to relax, or simply stowed away to create a home office. Anima Domus’s Italian wall bed system is comfortable and easy to clear into the wall of a home office, allowing you the extra space to complete all of your work before the guests arrive. You should also ensure that your guest room is spacious, allowing your guests more space to move around and enjoy their stay. You can make your rooms look more spacious through painting their walls in neutral or white color palettes as this will give the appearance that your room is larger than it really is. You can also create more space through your storage methods. You should consider under-the-bed storage for your guest room. As many guest rooms are converted spare rooms, this will enable you to use the room for both storage and guests, maximizing the space that you have available to you. Most importantly, you want to create a fantastically welcoming environment for your guests. Try adding a tea tray of biscuits and a kettle for the ultimate comforting experience. You may also want to add different textiles to the room such as rugs and cushions to add an extra aspect of personalization and ensure that your room looks wonderful for your guests. This will mean that your guest room is both practical and as welcoming as a hotel for your guests.